Bali – the word alone conjures visions of lush greenery, charming rice paddies, white sand being lapped by shimmering water and beautiful villages filled with welcoming locals. Not to mention, all the luxury you could ever dream of… with an affordable price tag! It’s easy to understand then, why this exotic place is such a popular destination for weddings. From the magnificent scenery of Ubud to the bustling streets of Legian, and the sumptuous glamour of Seminyak to the dramatic cliffs of Uluwatu, Bali will simply take your breath away. The perfect backdrop for any kind of wedding, the island itself boasts an array of gorgeous wedding locations including pristine beaches, opulent resorts and enchanting temples. Known as the “Island of the Gods”, Bali will transport you to a wedding heaven that’ll leave you, your loved one and any invited guests, feeling on top of the world. When to have your destination wedding in Bali? Bali has a warm tropical climate and while it’s often cooler in central mountain areas – it’s still hot. The best time of year to visit or get married in Bali is from June to September when there is less chance of rain on your special day. October and November are usually humid with some rain but December through March is the wet season so definitely expect high humidity and rain during these summer months. April and May are mostly fine but do expect some morning and evening showers. Nevertheless, it is best to come fully prepared with a back up plan in place just in case your beach wedding gets a little wet. Read up on some of our dress inspo for a destination beach wedding and some of our top tips for planning any beach wedding around the world. 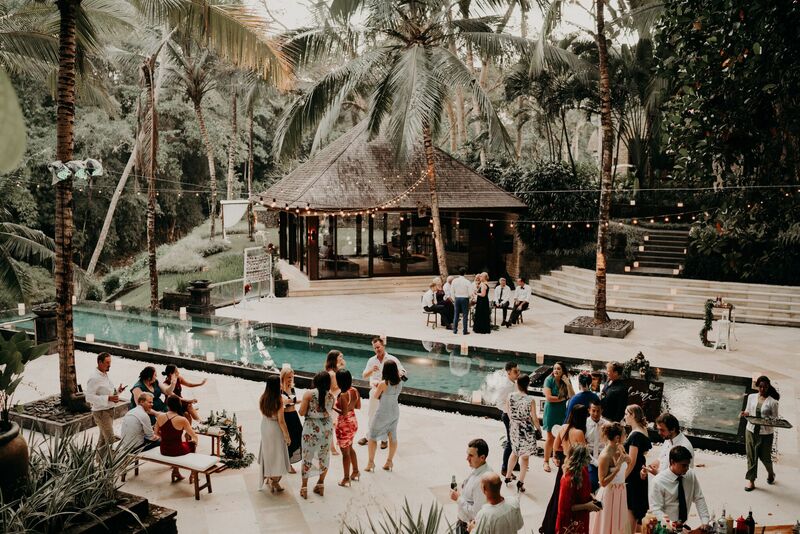 Australians wanting to get married in Bali or Indonesia need to tick a few boxes to ensure that the marriage license is approved back home as well as respecting the traditional laws and customs of the destination. 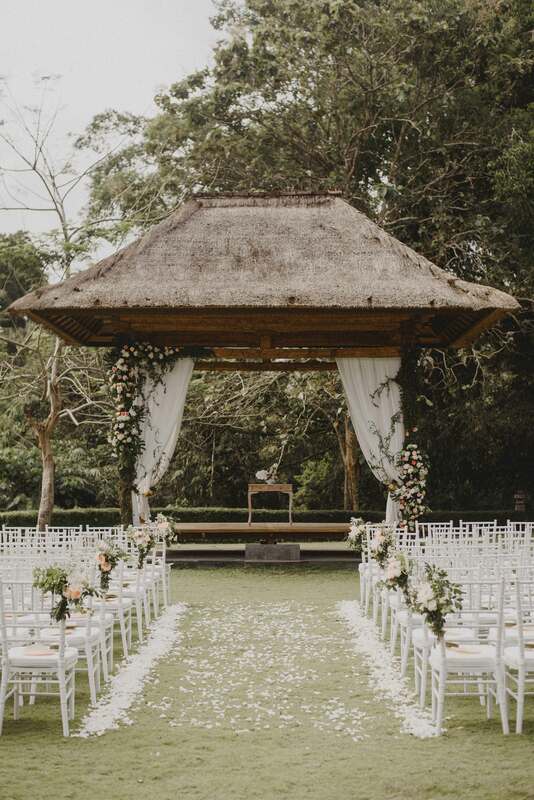 This is a brief overview of the most important steps to ensure that your Bali marriage abides by local Australian law, but be sure to double check all requirements with the Australian Embassy and stay on top of any updates in case laws change. Australian citizens or permanent residents will need to visit the Australian Embassy in Bali and apply for a Certificate of No Impediment to Marriage before signing a declaration in front of a consular official. This proves to any local priest or celebrant that you are legally allowed to get married. After this, your Indonesian marriage will be recognised in Australia as long as the couple are also legally allowed to get married within Australia. This comes with it’s own set of paperwork and requirements that can be found on the Australian government website. 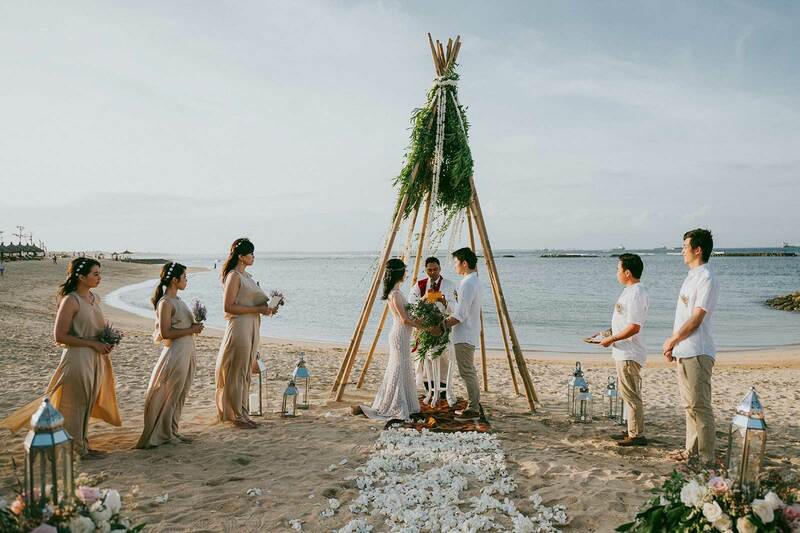 One of the popular options for many couples getting married or eloping in overseas destinations is to legally marry back home in Australia and have a non-legal ceremony in Bali. These ceremonies can be performed by a celebrant or even a friend and run in the same way as any ceremony would, without all the paper work. If you would like a ceremony more specific to your religious faith it is best to get in contact with a wedding planner or organise this well in advance. Make sure you remember to get around to all the legal requirements back home either before or after your destination wedding to ensure that the marriage is legally binding! The Indonesian rupee (IDR) is the official currency of Bali. There is no shortage of ATMs in Bali, and credit cards are widely accepted. 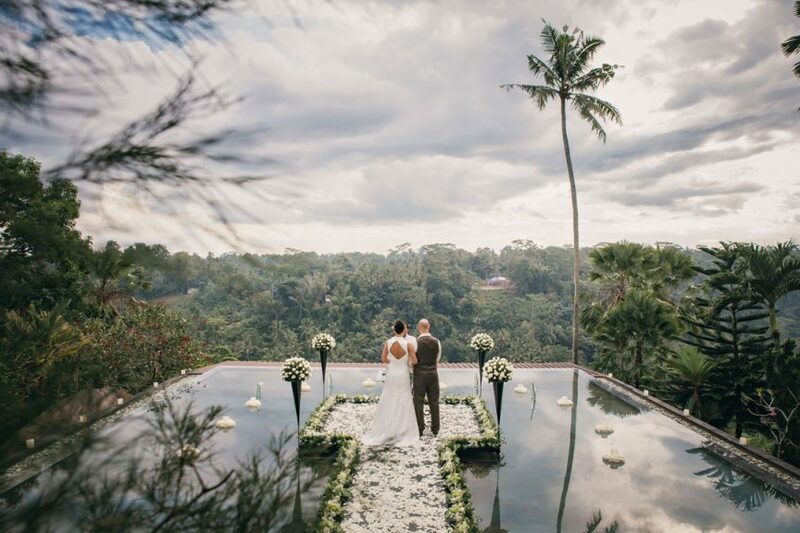 To find your dream Bali wedding venue, visit our exclusive directory of stunning resorts and hotels that specialise in destination weddings.